Ontario’s political leadership aims at economic growth and job creation. That is particularly clear in the most recent News Release, announcing that the provincial government has appointed Special Advisor Hugh Segal to “help inform the design and implementation of the pilot”. Mr. Segal’s involvement will be of a technical nature, such as giving advice on potential criteria for selecting subjects, locations and evaluation of results. 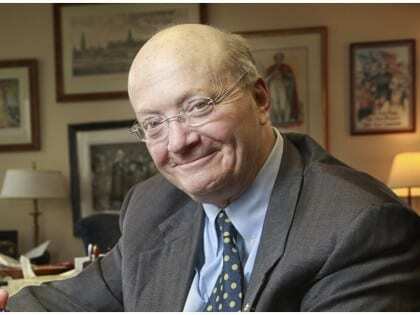 Conservative former Senator Hugh Segal has long been a basic income supporter, having extensively written about and been cited on the subject (a couple of examples listed below). Ontario is also investing in education, as a part of a four-part major economic plan for the region. Other priorities are related to housing, in an effort to “help grow Canada’s economy in a clean and sustainable way”. Ontario’s leaders reinforce the need to help “more people get and create the jobs of the future”, although the relation between that objective and the basic income implementation potential effects is not clear yet. My best wishes to Hugh Segal. I find it interesting that central banks implement “quantitative easing” as a monetary policy aimed at stimulating the economy, yet they find it difficult to implement “basic income”. To me, the first provides money to the rich so that they can lend to the poor and the second gives it directly to the people. “Basic Income is an unconventional monetary policy in which the central banks of all nations purchase the birthright from the citizens of their country in order to provide liquidity, increase growth, remove poverty and slavery.” This should be the starting point for every human being!